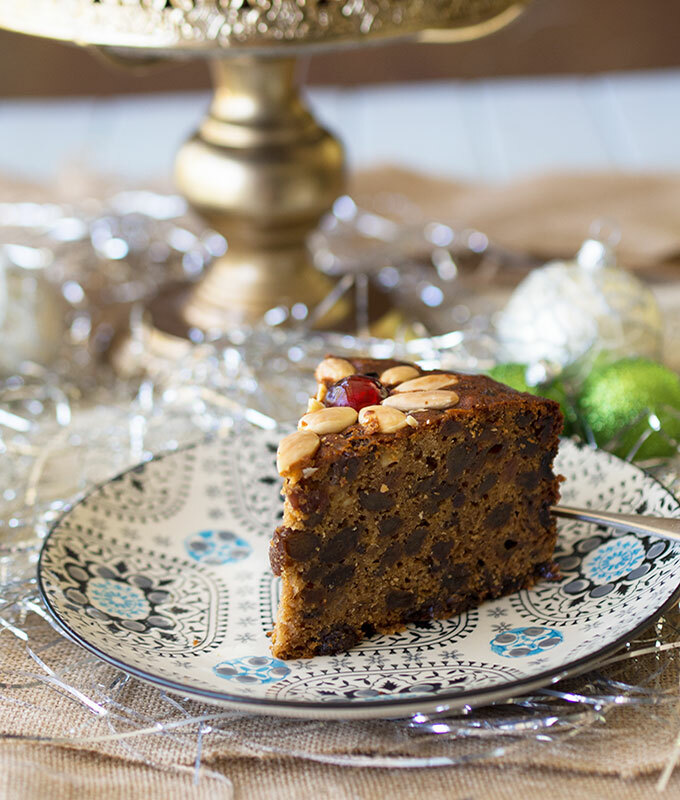 What really makes a traditional Christmas cake recipe ‘traditional’ is when the recipe has been passed down from your Mother. Mum makes this cake every year. In fact I have never bothered making it before as she has always made me one. Since their move north I no longer receive a beautifully made Christmas cake full of deliciousness and love. Mum has made this cake as long as I can remember. Over the years there have been many happy memories and funny stories accrued along with the making of this cake. To which Mum shot him one of her classic death stares and stated “My Christmas cake is never dry”. Unfortunately for Mum, her Christmas cake ended up dry that year. Needless to say in 20 plus years of marriage Mac has never been allowed in the kitchen when she is cooking her Christmas cake, and if he attempts to even utter a word, out comes her classic death stare again. You may be wondering why the word ‘boiled’ is in the title of this recipe. Most people probably relate boiled to Christmas puddings not cakes. 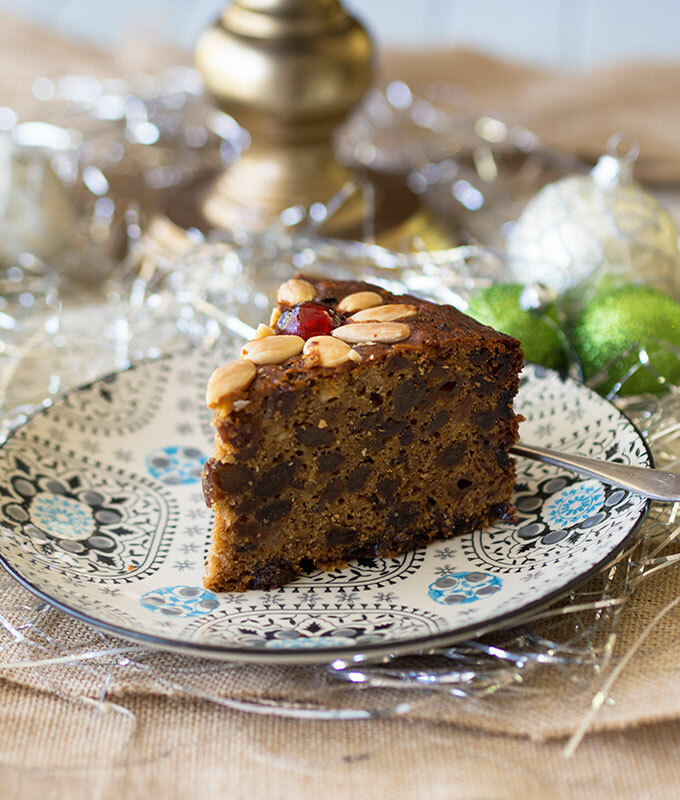 The difference between a boiled Christmas cake and a straight out baked Christmas cake is in the preparation not in the actual cooking method, both end up in the oven. With a boiled Christmas cake you bring your fruit, sugar, butter, pineapple and alcohol to the boil in a saucepan. This allows the fruit to soak up the butter and alcohol flavours. Making the dried fruit plump and juicy as a result. That is all that is involved in the ‘boiling’ part of the recipe. This cake has a distinct taste, to me in any case. It was on making it this time that I tried to work out why Mum’s cake tastes different to most. I truly think it all comes down to the crushed pineapple that is used in the recipe. The flavour of the pineapple isn’t really noticeable unless you know it is there. But with every few mouthfuls there is a hint of a tropical twist. Extremely subtle and unless you knew of its existence you probably wouldn’t notice it as an individual ingredient. Traditional Christmas Cake using the boiled method. Packed with fruit and brandy. My mother's recipe and it is amazing. Preheat oven 160 deg C (320 deg F). Line a 23cm round cake tin with baking paper. If using an older style thin aluminium tin, line with two pieces of baking paper. In a large saucepan place mixed fruit, sugar, brandy, water, crushed pineapple and butter. Stirring continuously bring mixture to the boil. Continue to simmer over a medium heat for three (3) minutes. Remove mixture from the heat and allow to cool. Once fruit mixture has cooled mix in beaten eggs. Then fold through sifted flours, bicarb and spices. 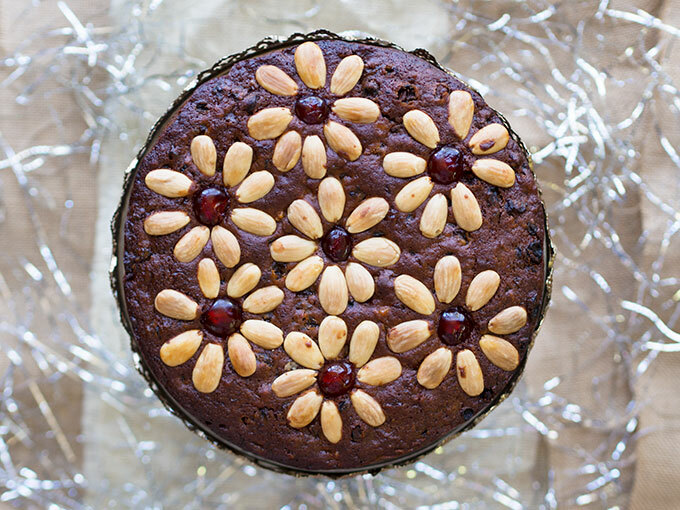 Place mixture into your lined baking tin and decorate with blanched almonds and glace cherries as desired. Bake in the oven for approximately two (2) hours or until cooked through. I suggest checking the cake with a skewer around one hour and 30 minutes. Allow to cool in the pan before turning it out. Wrap in plastic wrap and foil and store in the fridge until Christmas or you are ready to eat it. Now of course I tweaked Mum’s recipe just slightly. I changed the brandy to water ratio, more brandy less water. Mum generally just sloshed more brandy in. It also doesn’t go astray to give your cake a brush with some more brandy every couple of days if you like a very boozy cake. What was Mum’s response when I mentioned I had tweaked her recipe? “Of course you did.” Mum definitely knows her daughter well. 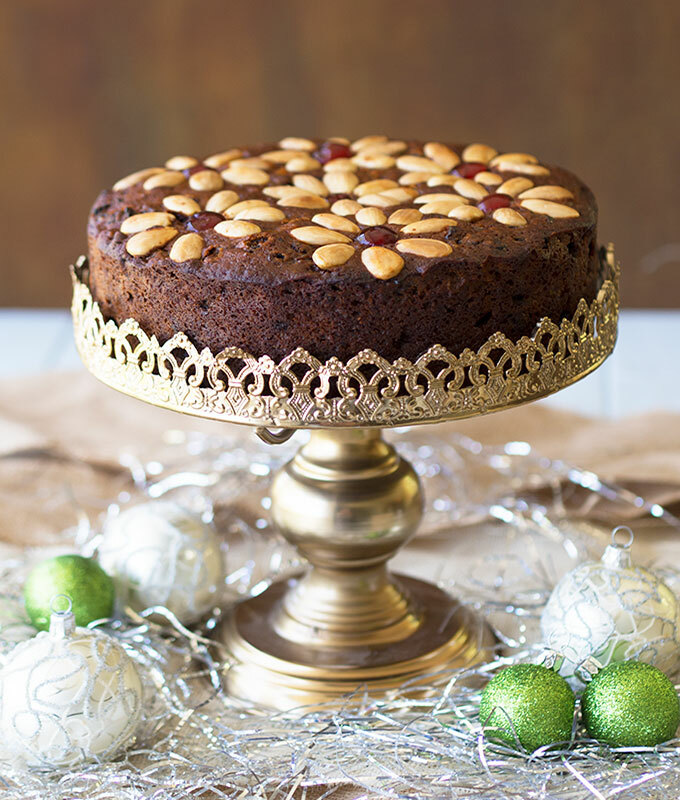 I’ve never made a traditional Christmas cake before, this is definitely something I need to try making before Christmas! Thanks for the idea Sara! Hope you enjoy it Thalia if you do end up making it. Sara, this looks and sounds gorgeous… indeed, I can actually almost smell it! 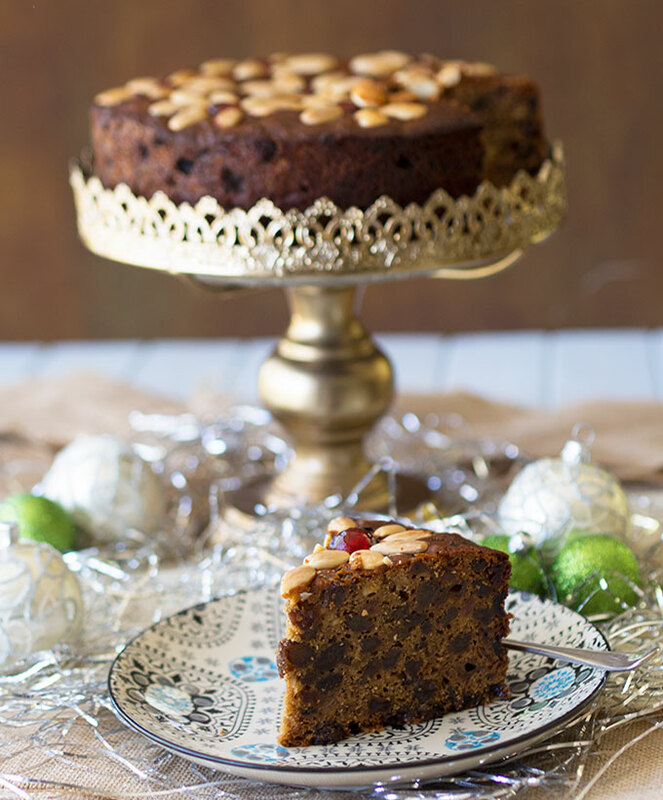 Wish I liked fruit cake…. this one could change my mind! I am a once a year fruit cake girl. It really is interesting how many people don’t like it at all. I love Xmas cakes. I’m actually going to make this…and I love the crushed pineapple! I was cracking up about your mother and Mac and the dry cake…too funny! If he only knew that the dried cake scenario would stay with him forever. Thanks so much Padeak. Best wishes to you as well for the Silly Season.